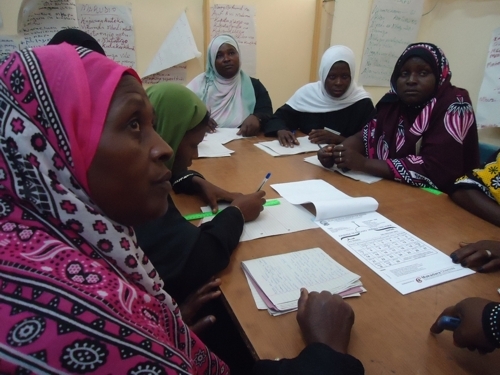 Mission with the focus of empowering the Women in the rural areas completed the training in 15 rural centers. 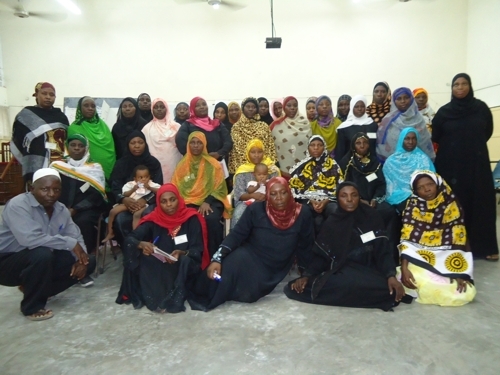 As a way forward a three-day seminar was conducted in Mombasa at the Bilal hall from the 16th - 18th February 2012. The objective of the seminar was to bring members from all women groups together, to share their ideas and experiences, find solutions to their problems and create awareness. Sis. Sidi Nyota, Br. Shaban tayari, Mr. Billy Nyagaya – Field officer from the Ministry of Agriculture and Sis Ruiya Salim facilitated this semina. Two women from each group were invited to attend this seminar. Topics covered in this seminar were directly related to the daily activities in their lives. On the first day, the session began with a dua followed by a welcoming speech by Sis. Ummi Kulthum from BMMK. The seminar started with setting up of rules, objectives and expectations for the seminar. Representative from each group made brief presentations about their group and displayed the items prepared by their respective group. Sis Sidi Nyota and Br Shaban Tayari discussed leadership, group conflicts and resolutions. Some of the participants voluntarily shared their experiences of starting businesses from the loan received from the Mission and how they have benefited from it. An action plan was set in place for the next three months. On the third day, Sis Ruiya Salim responded to the queries related to Khums. “I express my sincere gratitude to Bilal Muslim Mission of Kenya for having organized this seminar. This event has been a revelation. Back in my center, our groups had some leadership wrangles, which has greatly affected us and has been a big challenge. However, with the knowledge and skills I have acquired here, I am sure that we are going to solve our problems very soon. I appeal to BMMK to organize such events oftenly as this is the first time they have gathered different centers at one place." 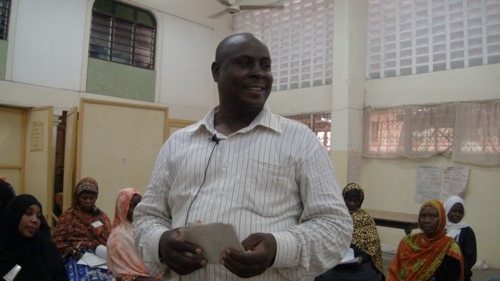 “I have learnt a lot in this seminar especially in matters to do with community development. I have also benefited from sharing ideas with my colleagues from different areas. In addition, I have immensely benefited from the religious lessons especially on Khums, most of us never knew about it. I appeal to Bilal Muslim Mission of Kenya to send teachers to our centers specifically for khums lessons. I am grateful to BMMK for giving me this opportunity. Thank you!." “The knowledge that we are taking home is immense. We have learnt about rules and regulations in groups, lessons on Agri – business and Religion. We have also learnt the benefit of taking loans. One thing that I will not afford to forget is the way we shared our experiences and skills. Every group had its own items to exhibit e.g. perfumes, aloe vera soaps. These items are the work of their own hands. These lessons should be done at least every 3 months." "This 3 day seminar has helped them because they were able to firstly know each other; secondly they have cooperated during the seminar and have learnt a lot from each others experiences. I appeal to BMMK that these seminars be organized regularly so that such platforms could be availed to these women." Sis. Sophie Chaka, BMMK, thanked all the participants for attending the seminar and emphasized on taking good advantage of what they have learnt from the seminar. They should go back and share it with their groups. They should try to make the best use of the facilities provided by the Mission to improve their standard of living and support their families and community at large. The seminar was closed with a dua recited by Bidala Juma.